Sorry, it’s not that Porsche is becoming the new Kia. It’s just trying to clean up an old mess. Building engines has never been an easy task. No matter how much time us humans have had to refine the process, automakers and suppliers are still finding ways to bake problems into them that require recalls to address. 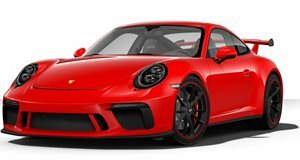 Porsche, typically known as one of the more high quality automakers that's laid its claim to fame using sheer engineering muscle, had the unfortunate experience of including design mishaps into the 3.8-liter flat-six engine that powered its 991.1 911 GT3. According to Rennlist, Porsche’s problems with that powertrain have been enough to force it to update its warranty policies surrounding the power plant. If you’ll recall, Porsche issued a stop-sale order on 2014 911 GT3s and issued a recall for the 785 already parked in owner’s garages. The problem surrounded a defect in the metal (inclusions) on the surface of the engine’s finger follower that could cause excessive wear on the power plant that would result in engine misfires, a check engine light, outright failure, or, in some cases, an engine fire. The problem doesn’t seem to affect many GT3s as in many cases, the inclusion is not close enough to the surface to cause a problem. Other like models, the 911 GT3 RS or 911R for example, don't have this problem at all because despite sharing engine architecture, design differences mean they use different finger followers that come sans inclusions. To remedy the issue, Porsche developed new camshafts and finger followers that shouldn’t face the same problems. Going a step further, Porsche has made the decision to extend the warranty on all 991.1 911 GT3s to 10 years or 120,000 miles, whichever comes first, all to appease its loyal customers. This warranty is in effect worldwide and does not just pertain to US owners. It’s also transferable, so owners who buy a second hand GT3 don’t have to take on the burden of hoping the engine is built properly. If the engine does end up failing because of the issue, Porsche will swap the entire unit for a reengineered version free of charge, going a step further than just replacing the defective parts. So fear not and drive those GT3s hard like the gods intended. If it goes bust, it’s on Porsche’s dime.